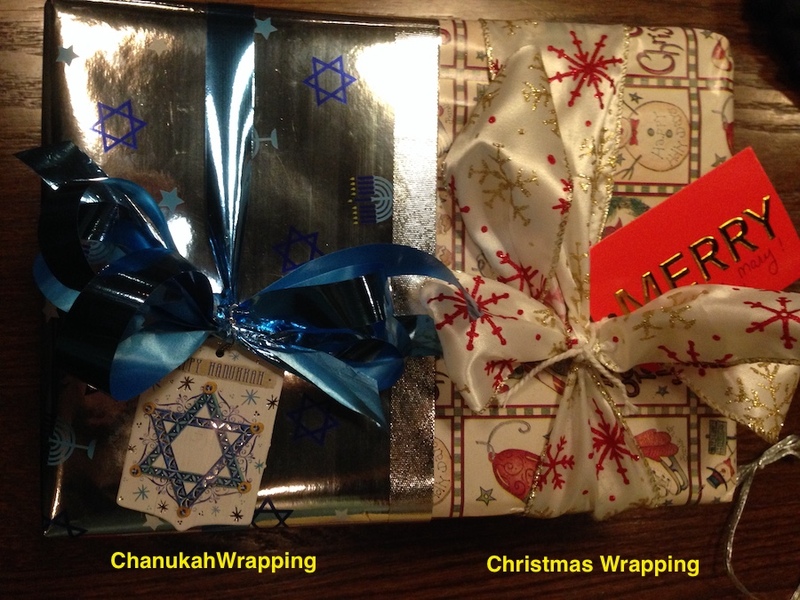 If you give gifts to a couple that has one Christian partner and one Jewish partner, here is a unique way to wrap a present that supports the celebration of Christmas and Chanukah combined. I thought this was very inventive and an interesting way to celebrate the holidays under the circumstances described above! Kudos to the creative talent who thought about this unique style of wrapping holiday gifts.